Science! Answering the questions you never had! 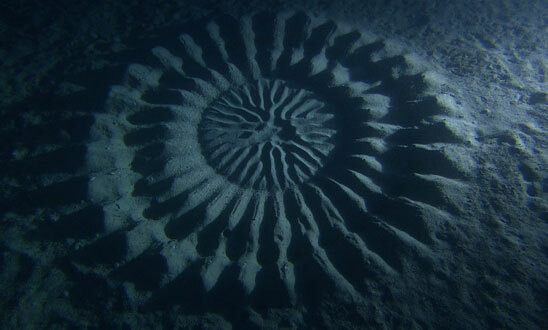 Q: What created this 6.5 foot circle, lovingly sculpted and encrusted with shells, found recently by an underwater photographer? Anamorphosis – It doesn’ t have to do with Animorphs, sorry, but it’s maybe almost as cool. Anamorphosis is the process of drawing something that looks normal from a specific angle, but distorted from any other angle.